We’re celebrating Father’s Day with a round-up of movies that feature fierce dads. We combined our five picks each to give you double the viewing pleasure! Mrs. Doubtfire 1993 (Robin Williams) – Dad who is willing to do whatever it takes to have time with his children. After separating from his wife and having his visitation rights taken, he dresses as a women and becomes ‘Nanny’ to his children. 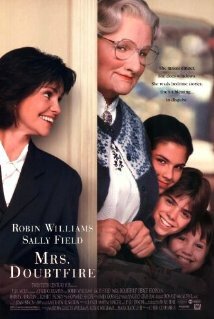 Hilarity ensues and Robin eventually lands a TV show as Mrs. Doubtfire, a lovely older lady that helps other children through the emotions, disappointments and heartaches of divorce. Fierce Factor – Total disregard for personal vanity and ego in order to spend time with the children he loves. 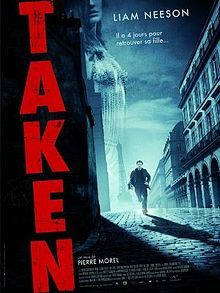 Brian Mills (Liam Neeson) in Taken (2008) – Dad who navigates some fierce situations and life-threatening feats to save his daughter. Prior to the abduction, Brian was working through the process of trying to strengthen his relationship with his daughter. Fierce Factor – disregard for personal risk and danger at the cost of saving one’s daughter. 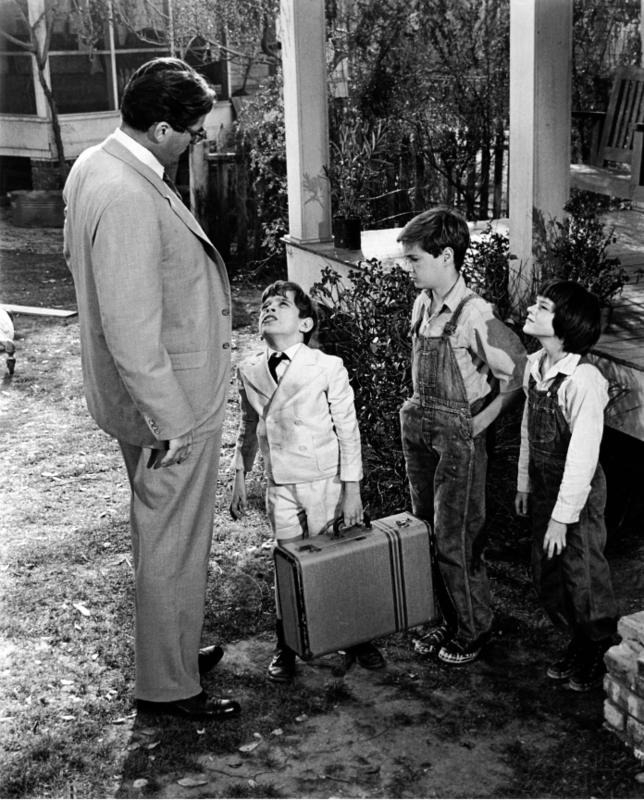 Atticus Finch (Gregory Peck) from To Kill a Mockingbird (1962) – he was fierce in the way he showed his children, by working tirelessly for his black client, that prejudice is wrong especially when it comes to justice. Fierce Factor – doing the right thing despite dangers and possible ostracism to show, not just tell, his children right from wrong. 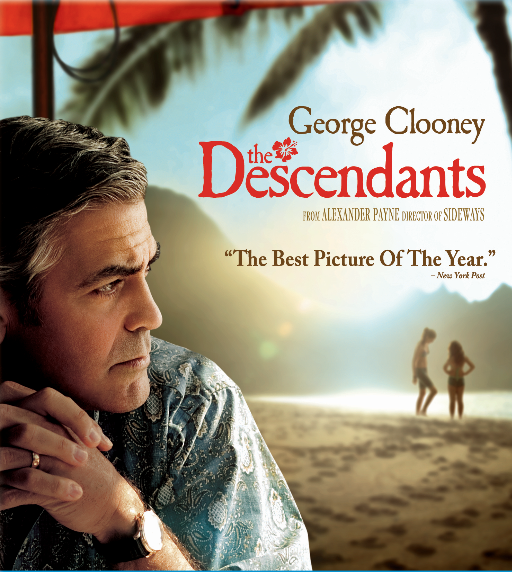 Matt King (George Clooney) from Descendant (2011)– He stood by his wife who suffered a serious accident and ends up in a coma, even though he found out she was having an affair with one of their best friends. He helps his daughters to forgive her (by doing so himself) all while working with fellow landowners in Hawaii to ensure resort developers do not end up with the rights to precious native lands. Fierce Factor – forgiveness and forethought, recognizing the need for his children to show their mother they loved her and understanding the importance of preserving relationships and sacred lands for those who come after us. 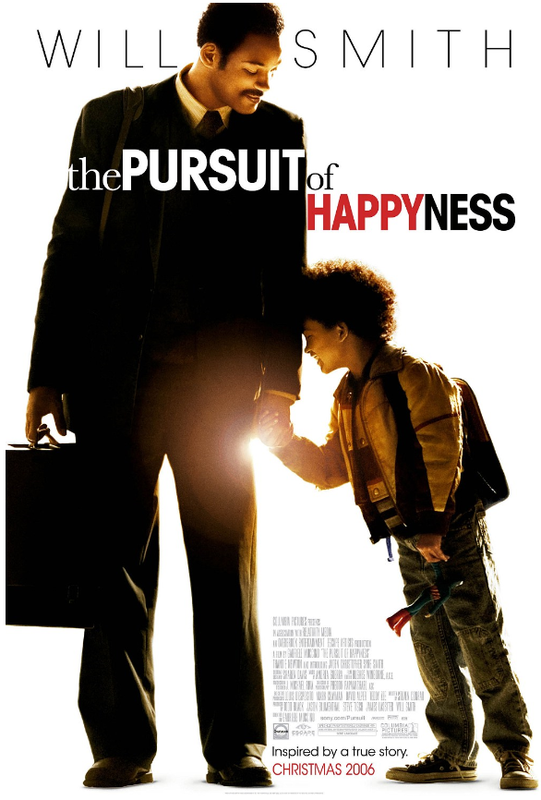 Chris Gardner (Will Smith) in The Pursuit of Happiness(2006). He is homeless and taking care of his small child after his wife leaves both he and his son. He is hit with IRS garnishment which causes him to lose the apartment he and his son are living in, they live in shelters, etc. while Chris goes out every day to sell medical scanners and beat the pavement to find a permanent position – which of course he does by the end of the movie. Fierce Factor – never, ever give up in the face of adversity, such an important lesson for all children to receive. 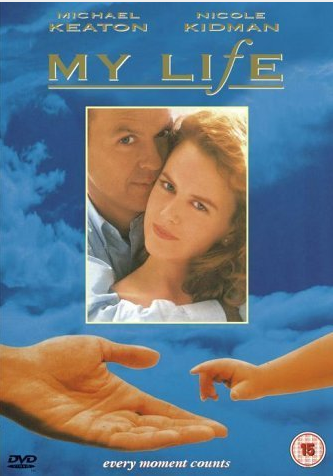 Bob Ivanovich (Michael Keaton) in My Life (1993)– Dad who finds out he has terminal cancer and his wife is pregnant. He is not going to be around to show his child all the things that a Dad should pass on. So he films himself showing his yet un-born son how to shake hands, tie a tie, shave, etc. ; he reads him bedtime stories. It’s a huge tear-jerker. Fierce Factor – love for a child that you have never met simply because. 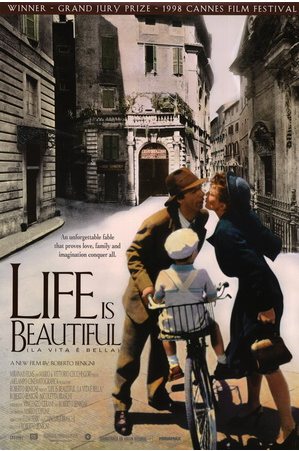 Guido Orifice (Roberto Benigni) in Life is Beautiful – Manages to turn life in a prison camp into an adventure for his young son. Despite the daily horrors, this Dad is going to make his son’s life bearable and more by spinning the days’ events, no matter how harsh, into adventures with positive outcomes. Fierce Factor – Courage in the face of extreme adversity for the sake of your child’s mental and physical well being – amazing. Marlin the Clownfish (played by Marlin the Clownfish) in Finding Nemo (2003) – After losing his wife (to divorce) and 4000 of his children to a Barracuda attack (remember he is a fish), Marlin finds himself Dad to just Nemo. When Nemo wanders off with a group of school kids and is lost, Marlin has to overcome his fear of going beyond his comfort area/zone and traverse the wide seas to find Nemo and bring him home. Fierce Factor – overcoming personal limitations to ensure your child is safe. 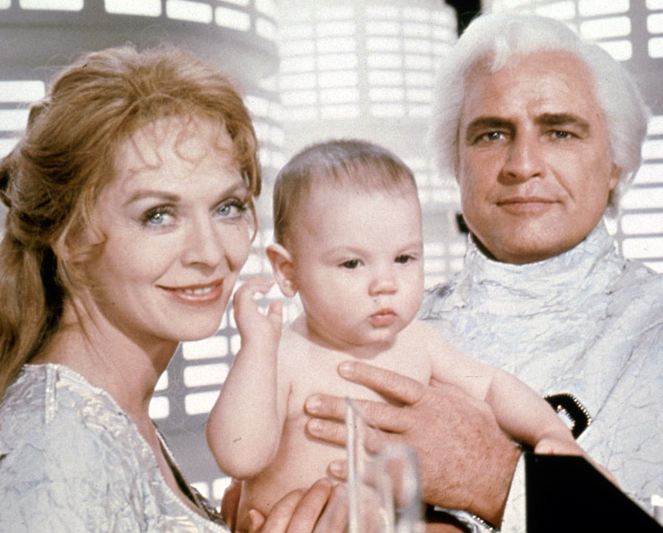 Jor-El (Marlon Brando) in 1978 version of Superman – Dad who sacrifices himself (literally) to save his infant son (aka baby superman) from a dying planet. Fierce Factor – As if that wasn’t enough, he also found his son a new family to care for him (on Earth) AND provides him with the ‘Fortress of Solitude’ so he will never feel that he is alone in the world. That is some fierce parent power. Carroll O’Conner is a grandfather in Return to Me (2000) – an emotion-packed movie that runs you from everywhere from chest-clutching tears to laugh-out-loud hilarity. O’Conner’s character wants two things for his granddaughter – a new heart to replace the one that is giving out, and someone she will fall in love with in her life. After she finds the heart, there is a chance that she will find love. But will it disappear when her new beau finds out that the heart she holds came from the wife he lost? Fierce Factor – prioritizing the happiness of the child he raised. This movie is an all time favorite. Love, love, love it. Check out this trailer and in about two minutes you’ll know exactly why! WHAT’S YOUR FAVORITE FIERCE DAD MOVIE?